Yesterday, Glamour posted an exhaustive oral history of Lilith Fair, the all-women music festival from the late ’90s, which attempted to present a feminist spin on the Lollapaloozas of the world. The piece is full of conversations and insights from the performers who made up the touring performance’s bill, including co-founder Sarah McLachlan, Sheryl Crow, Natalie Merchant, and a number of other women who were instrumental to the show’s success. 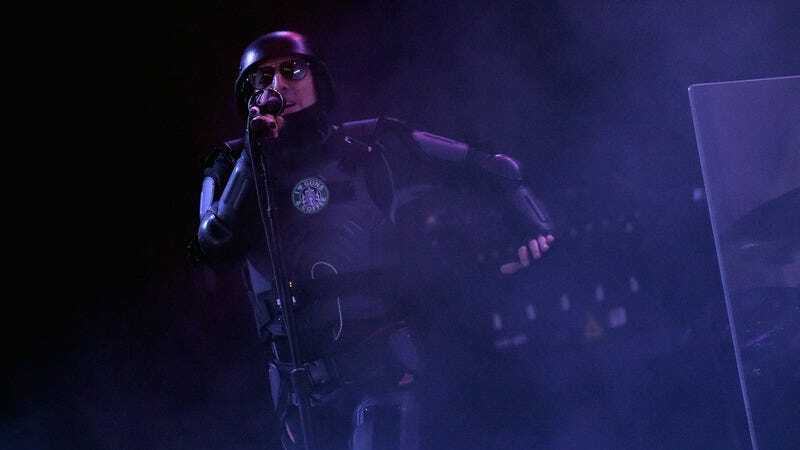 But of course, it was as true then as it is now that you can’t have anything labeled “all-women” without some guy somewhere popping up to “Well, actually” his way haphazardly into the conversation, and in 1997, that “some guy” turns out to have been Tool’s Maynard James Keenan. Keenan pops briefly into the oral history to note that he and his all-male bandmates ironically applied to add themselves to the Lilith Fair roster, pretty much just as a joke. “I wanted the ‘Thank you but no thank you’ letter to frame,” he notes, saying that he and the band were declined after making the request. “Never got it.” Unfortunately, the rest of the history’s participants were too busy discussing the actual issues that cropped up around the festival—racial diversity, the split demands of being performers and organizers, struggles with the public’s perception of the festival as a den of radical, dangerous feminists—to add their own insights on Keenan’s plaque-less plight.